Jaber was born in 1972 in Beirut and studied physics at the American University of Beirut. He is presently editor of Afaaq (Horizons), the weekly cultural supplement of Al-Hayat daily newspaper. According to the Hay Festival organizers, he has published a blinding 16 novels since 1992. His novels have been translated into German and French, but never English–although an excerpt of Youssef the Englishman appeared in Banipal. The blogger “Sleepless in Cairo” gushingly reviews Jaber’s Confessions. Next What is Rasheed el Enany Pessimistic About? Rabee Jaber is a talented author. 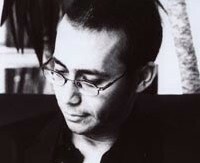 He is one of the best authors in the arab world.